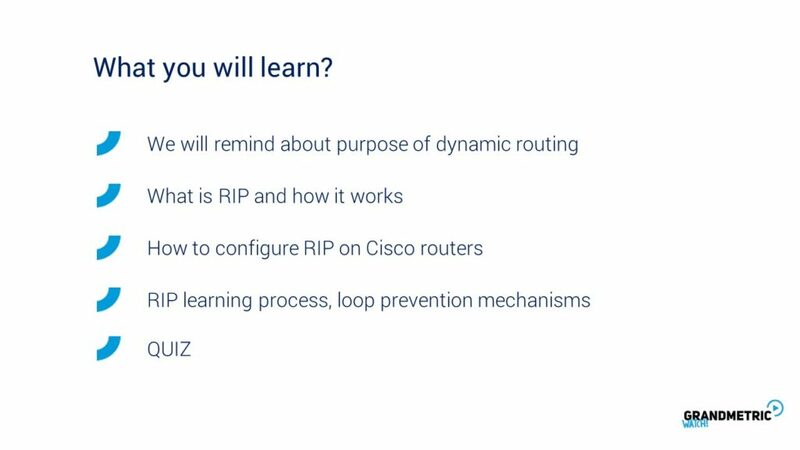 The are few main reasons why to use dynamic routing protocols in network environments. The first is the scale. For large networks with many prefixes, large numer of routers and complex architectures the ability to dynamic updateing the routing topology is the main point. Thanks to dynamic routing, administrators are not obliged to steer the traffic manually. when the new network is added somewhere in the netwrok, dynamic routing protocol will do the job updating the whole routing domain about the change thus saving the administrator’s time. 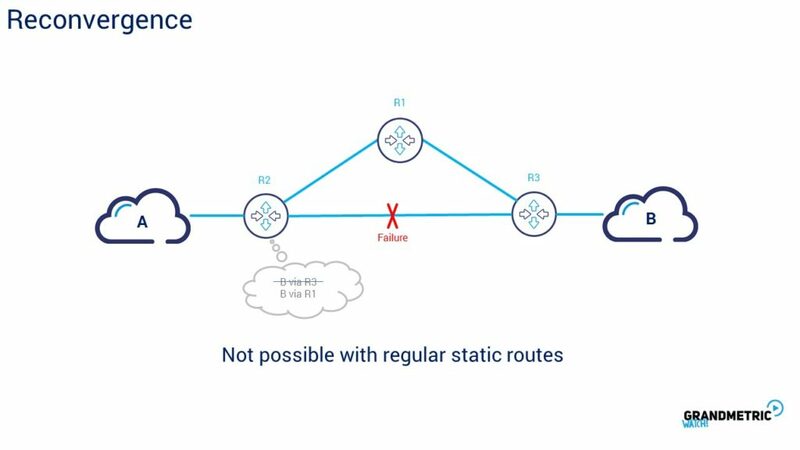 It is also important that Simultaneously when dynamic routing protocol saves the human time updating the network topology the administrator’s mistake resulting in routing loop or traffic blackholing is less likely to appear because of routing automation. 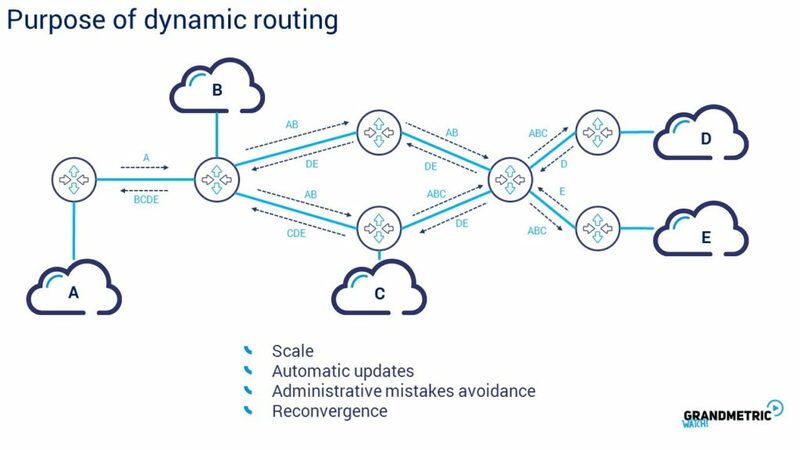 The next thing that dynamic routing will help with is the network convergence effect. After failure in one point of the network routing protocol is able to reconverge resulting in ensuring the backp path for company traffic. This is explicit advantage of dynamic routing protocol. The very first protocol that was started to be commercialy used at the beggining of 1990 and founded 1988 war Routing Infomration Protocol or RIP. 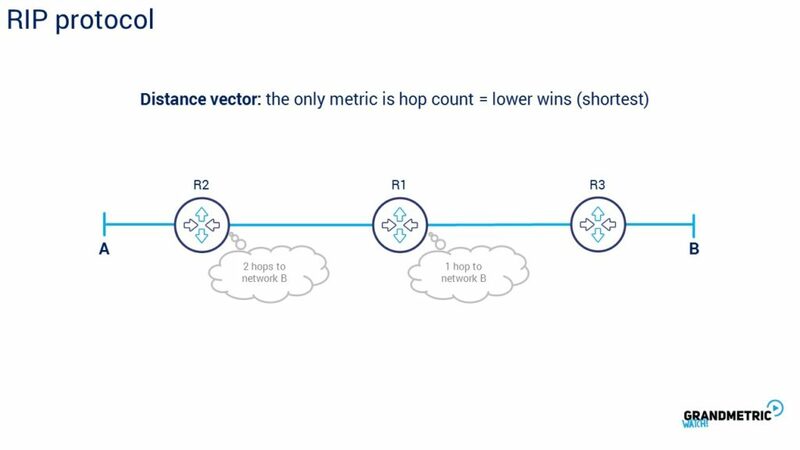 The rip is purely distance vecotr protocol meaning that the only metric that dictates the best path is calculated based on hop count. It means the fewer hop count on the path to destination the better is the path. At the for Router 1 to get to network B takes 1 hop count meaning to get there packet need to traverse one more router. From router 2 perspective to get to network B packet needs to traverse two routers R1 and R3. It means the network is 2 hops away. Lets calculate metric with RIP for the following topology. Network B is advertised by router 3 towards router 1 and router 2. Router 1 receives the update about network B from router R3, r3 has network B directly connected so sets metric with 0 and sends the update. Router 1 receives this update and incresaes the metric by 1. In the same time router 2 receives an update from router 3 and increases the metric by 1 too. Router 1 sends its update to router 2 and if router 2 receives the update with metric equals to 1 incresass the metric by 1. Resulting metric coming from Router 1 is 2. 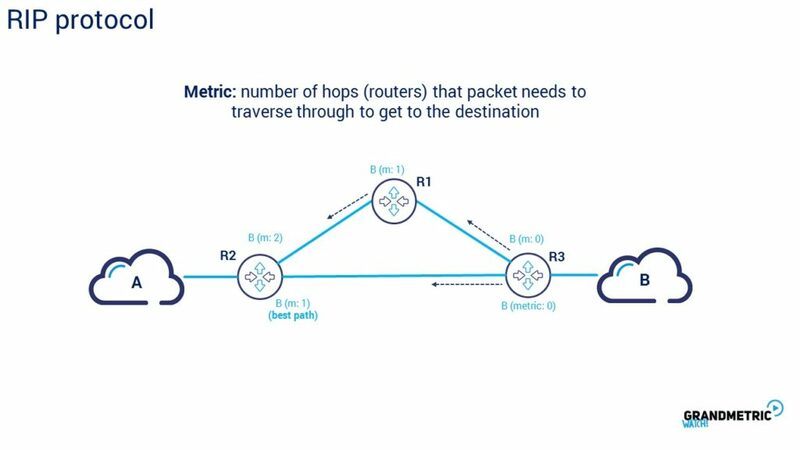 Metric coming from R3 is 1, so simply the best path to network B is via router 3. Lower metric wins. 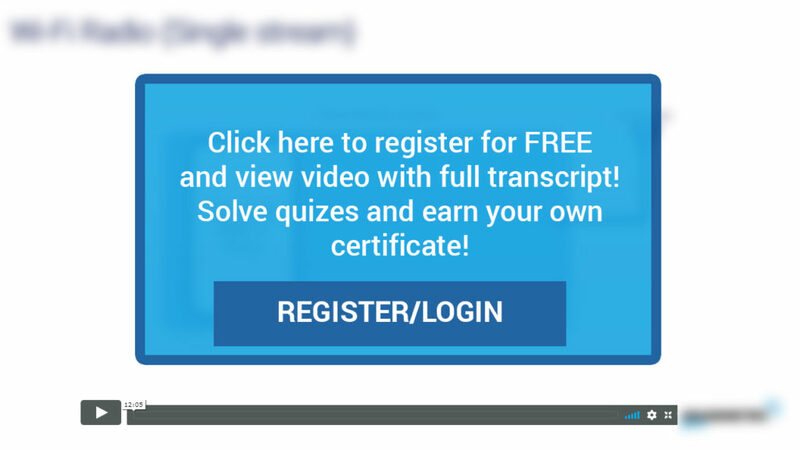 This proces is called route learning at metric is counted as above. Historically RIP had versions 1 and version 2. In RIP version 1 router operated with classful networks only meaning that no varialbe length mask was allowed in updates. The updates were being propagated with broadcasts. RIP sends updates every 30 seconds regardless topology change. The update contains full routing table. The maximum numer of hops that RIP router can suport is 15. 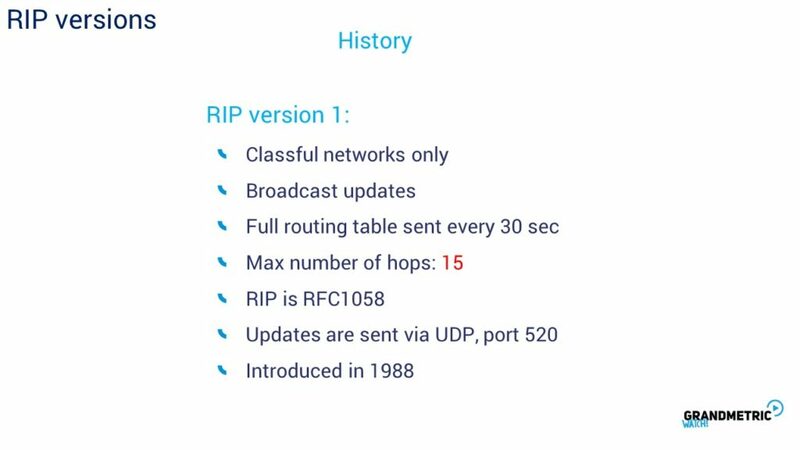 So there is no way to use RIP with networks that span larger than 15 hops and this is considered main disadvantage of RIP. The RIP has its RFC document meaning it is vendor independent and is important that can operate in networks built by routers of dfferent vendors. The RIP updates can be seen in network as an UDP datagrams with destinatoin port of 520.